​at Central Florida's newest Event! Multiple Sellers will be inside Osceola Heritage Park with lots of great items. 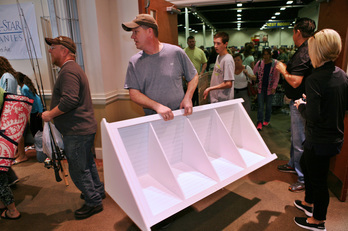 They have been clearing out their houses, garages, basements, sheds and storage units and are bringing it all to the sale. *Cash only is accepted at the box office. Multiple sellers offering unique finds, all under one roof! Sellers: Anyone with extra stuff will be selling their goods. You never know kind of treasures you will find! Commercial Sellers: A select few businesses selling new items & services. Sponsors: Businesses with items & services helping out the sale.